Want to get your License? 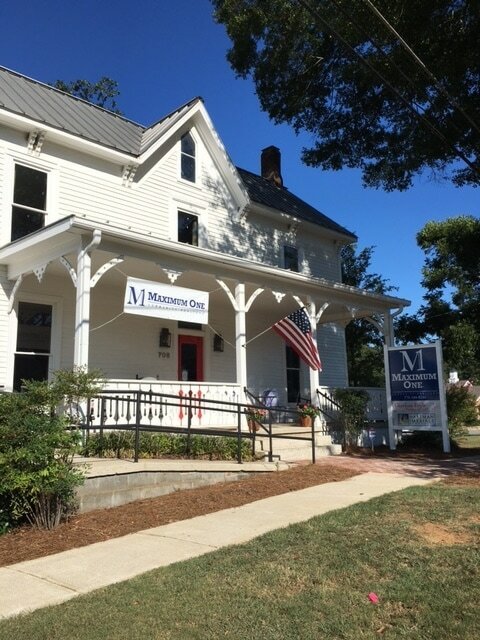 ​We are a Real Estate Company in Emerson, Georgia committed to serving the residents of Northwest Georgia with the best real estate experience possible. In order to do this, we believe that education, training and a heart for service is the core of every agent in our company. So, you wanna be an Agent? Go to School:All potential agents must take a state certified pre-license class that is 75 hours in length. This class teaches basic definitions of real property, agency, contract overview, and some financing. There are many schools that offer pre-license classes. Some are in the classroom, others are online. Of those in the classroom, some are taught weekends and evenings, and others during the weekday. Once you complete the class, you must pass the school's exam. Our Pre-license classes cost $450 including textbooks. If you would like to pay for the class in 2 payments, you can pay a $200 deposit by dropping it by the office and pay the remaining $250 on the day of the class. Attention: We need a minimum of 8 students to have signed up for the class, or the class will be cancelled. In the event that we have less than 8 signed up to take the class, all money that has been paid toward the cost of the class will be refunded. You may skip this class altogether if you have completed ten quarter hours or six semester hours in real estate courses at an accredited college or university. These courses must cover real property, agency, or contracts. If you think you qualify , send an official transcript to AMP (AMP is a private company the State outsources to do licensing exams). They will tell you if your college classes are acceptable. If so, go directly to the State Exam! Take the ExamOnce you have completed the class and passed the school's exam, you must schedule the State Exam with AMP (but not before - click for AMP Candidate Handbook). Keep in mind, AMP has only a handful of locations across the State, and they test for other license types. In other words, schedule your exam once you are able to do so because you may have to wait a month or more otherwise. There is a fee to take the exam. If you pass the test, there is another fee to become licensed. Become a LicenseedOnce you pass the State Exam, you may choose to become licensed immediately, or you may wait. There are two types of license statuses: Active, where your license is held by a Broker, and Inactive, where your license is held by the Georgia Real Estate Commission (GREC). When your license is Active, you may engage in real estate practices in accord with your independent brokerage agreement, including earning commissions. When your license is Inactive, you must still follow all laws and regulations of a licensee, but you may not engage in brokerage activities, nor may you earn commissions. At the time you pass the State Exam, you have three options: not become licensed (no additional fee), become Inactively licensed (fee), or become Actively licensed (same fee). You may only choose Active if you bring a Sponsoring Broker Form (found on page 25 of AMP Candidate Handbook) with you to the exam. This form must be signed by your "Broker-to-be". And you must also have completed the background investigation by GREC. You can do this simply: go to your county's police station and ask for a criminal history report on yourself (there will be a fee). Make a copy of this report for your records, then mail the original along with GREC Background Clearance Application.